We present a new simulation of Turing machines by peptide-antibody interactions. 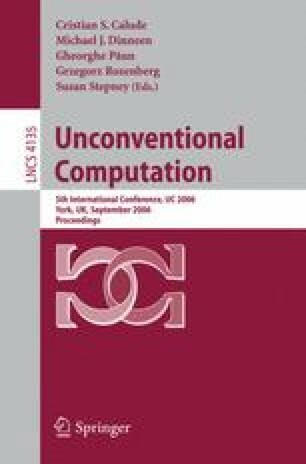 In contrast to a simulation presented previously, this new technique simulates the computation steps automatically and does not rely on a “look-and-do” approach, in which the Turing machine program would be interpreted by an extraneous computing agent. We determine the resource requirements of the simulation. Towards a precise definition for peptide computing we construct a new theoretical model. We examine how the simulations presented in this paper fit this model. We prove that a peptide computing model can be simulated by a Turing machine under certain conditions.